Stocks closed narrowly mixed yesterday with the Dow and the S&P marginally lower, while the Nasdaq was marginally higher. The market started off strong with all of the indexes in the green. But that gave way as the day wore on. 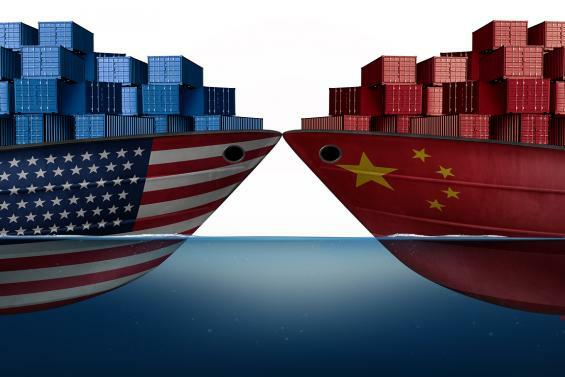 Reports on Monday that the, as of yet unscheduled, meeting between President Trump and President Xi may get pushed back to June weighed on prices a bit. Then yesterday, reports that China may be backing away from previous trade pledges turned stocks lower. While many are dismissing these rumblings as typical negotiating rhetoric, it would not be surprising to see some traders taking profits on this news given the spectacular run-up we've seen on the expectation for a deal. Doesn't sound like anybody is souring on the prospects for a deal. But it does give a little bit of credibility to Monday's rumor that the face-to-face meeting might indeed get pushed out by another couple of months. But China is said to view the negotiations as ongoing as expected. And the U.S. has said that the talks are going very well. U.S. Trade Representative Robert Lighthizer and Treasury Secretary Steve Mnuchin will be traveling back to Beijing the week of March 25th for more high-level talks. As I said yesterday, as long as the narrative coming out of the meetings, from both sides, is about progress, then the market should remain positive regardless of whether there's a delay in the face-to-face meeting. In the meantime, traders remain focused on the strong economy, the fantastic jobs market, the accommodative Fed, and the continued optimism for an eventual U.S.-China trade deal. Speaking of the Fed, they began their two-day FOMC meeting yesterday, and it concludes this afternoon with their FOMC Announcement, FOMC Forecasts, and Fed Chair Press Conference. But traders are literally giving a zero percent chance of a rate hike. So the accommodative monetary policy looks set to continue. And that's bullish for stocks. In the first two months after California dispensaries started to legally sell recreational marijuana, companies in the cannabis industry increased by nearly $2 billion in value. And now Canada just legalized recreational marijuana. Savvy investors are already grabbing positions in these 3 picks that are set to soar. How often have you owned a stock that gets pummeled with no logical explanation? This is often caused by computer-driven High-Frequency Traders (HFTs). They fire off massive amounts of short trades to drive stock prices down, then profit from the rebound. Their gains come at the expense of human investors. The good news is that Zacks has mounted a Counterstrike to catch the best of these "manipulated price drops" as they rebound. For example, we recently closed gains of +25.15%, +30.03%, and even one for +14.18% in just 2 days.